These tanks are much lighter in weight than the conventional steel or concrete tanks. They greatly reduce loading on existing building and make transportation easier. 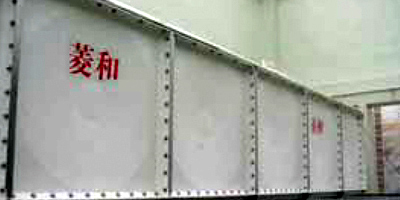 Panels are easily connected and put together by bolts & nuts. Because the SMC panels are opaque and with excellent smooth surface finish, they restrict the growth of bacteria and germs, and thus make water more hygienic and cleaner than from the conventional steel and concrete tanks. 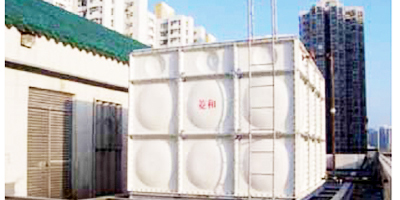 In addition, these SMC panel type water tanks were tested by the hygienic authority in Beijing PRC & testing agency in Hong Kong for toxicity and inhibited material and were found to be in strict compliance to GB 5749-85 & BS6920 Standard respectively for use in storage of potable water. Furthermore, approval was awarded by the Office of Water Authority in Hong Kong for the use of SMC type material in contact with fresh water. 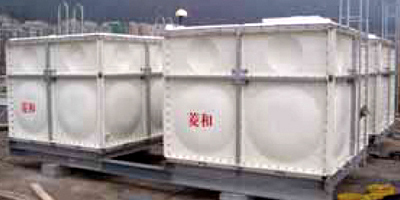 SMC panel type water tanks are assembled by bolts & nuts. This joints are sealed with special rubber gaskets. 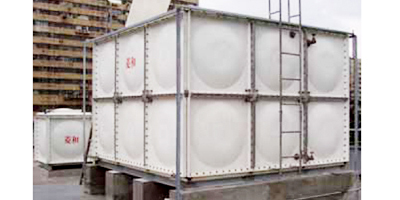 The unique leakage sealing method is different to the conventional hand lay-up FRP water tanks which are sealed by applying fibreglass mat and resin to the joints. Thus the SMC water tanks can be dismantled and re-assembled again without difficulty. The SMC panels come in 1000mm x 1000mm, 1000mm x 500mm and 500mm x 500mm with thickness of 5mm, 10mm, 12mm, 14mm and 16mm. 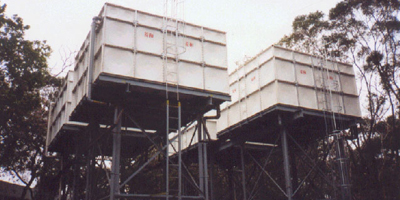 With final tank size varing from 0.53M to 5003M , the SMC panel type tanks are more flexible to suit the environment and the available space.